We are looking for a couple of enthusiastic and curious volunteers who have a deep interest in and commitment to challenging immigration detention and can help us increase our social media presence. Any design / art / creative skills are a big plus – let us know what skills you have. We are always struggling to have enough visual material to share over social media: can you help us with this challenge? 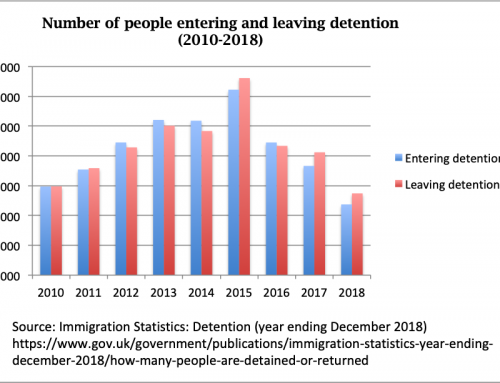 Above all, you need to have the desire to communicate well with a wide range of audiences in order to challenge immigration detention. You don’t need to be in London but you need to be able to communicate with us via email and Skype. 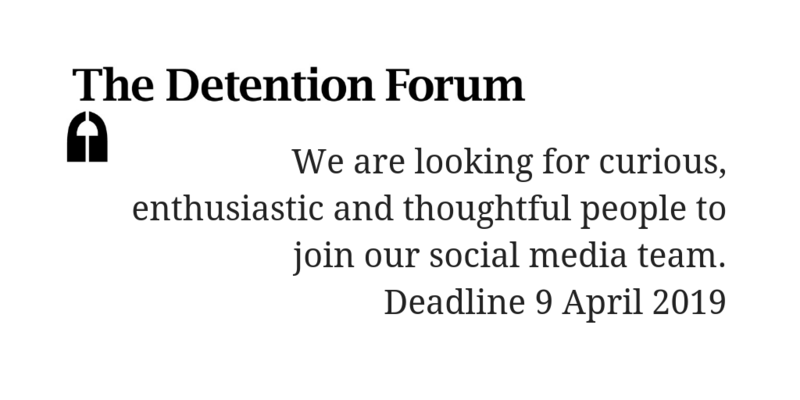 We are especially keen to hear from people who can document how their local communities are affected by immigration detention. We would like volunteers to be available for one day a week for at least five months. Please do not apply if you do not meet these criteria. 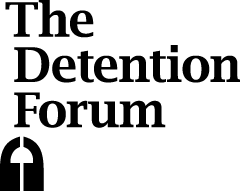 The Detention Forum currently has two part-time staff working one to two days a week and a group of part-time volunteers. Our team is proudly diverse and multinational, made up of people coming from different countries, cultures and backgrounds. We do not have an office so we all work from home. 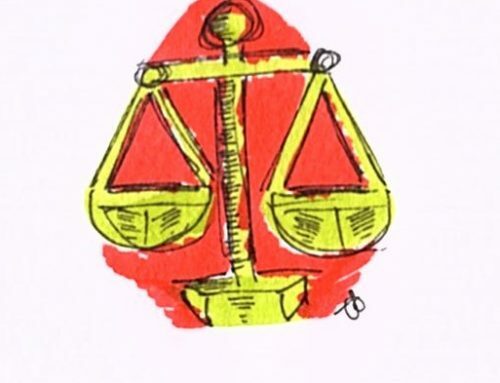 On a day-to-day basis, we work largely independently and communicate with each other via Skype and email, although we occasionally arrange social events and meetings in London. This is the reason why you need to be a self-starter and reliable if you want to join our team! 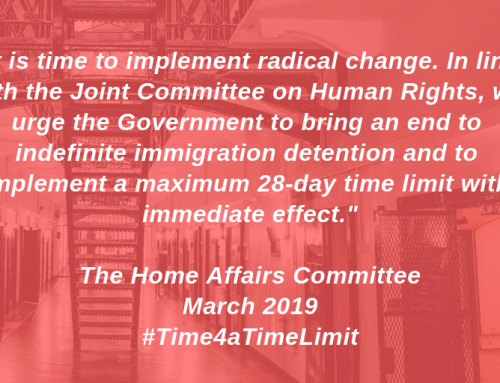 From our experience, it takes a while before new joiners understand our key messages, how we communicate about immigration detention and why. Due to our limited resources and time, the only tools of communication we have with the outside world are emails, our website and Twitter – therefore for us, how we communicate using these platforms is very important. We will contact those who are shortlisted. Volunteering at the Detention Forum can be a lot of work. 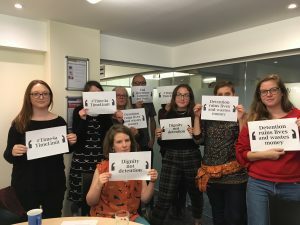 However, you will get to learn more about immigration detention and you also have a chance to learn how groups like the Detention Forum, its members and other groups around the UK are challenging the government to reduce and end immigration detention.